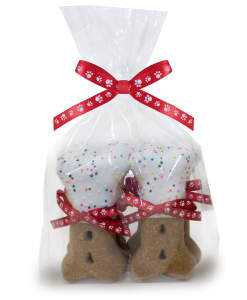 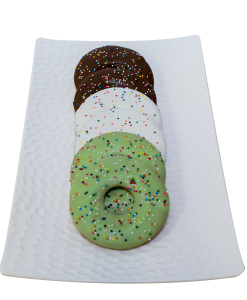 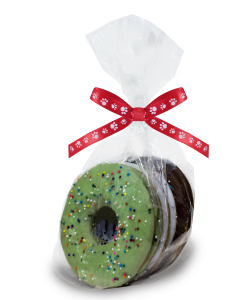 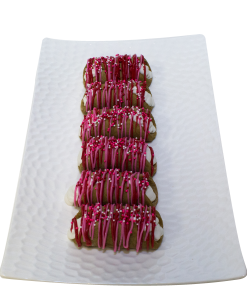 Our famous mini peanut butter biscuits are hand-dipped in yogurt and packaged in a beautiful gift box. 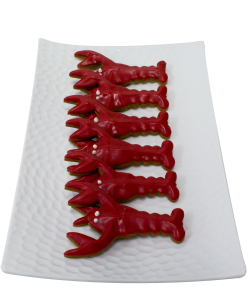 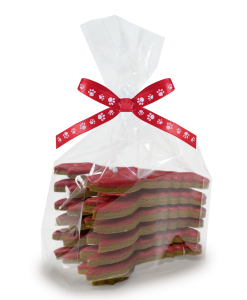 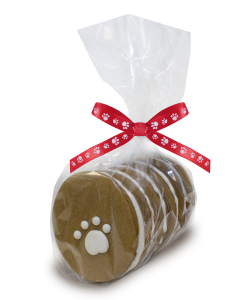 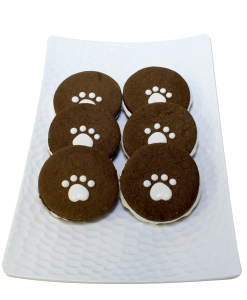 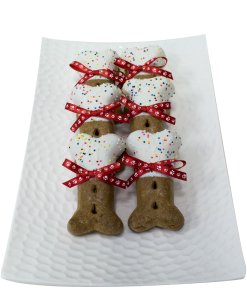 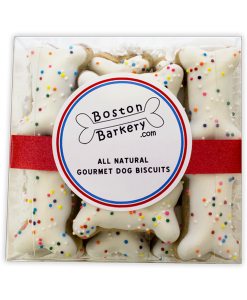 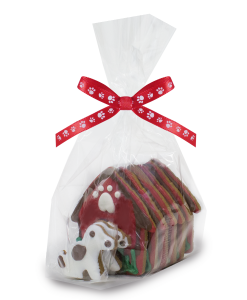 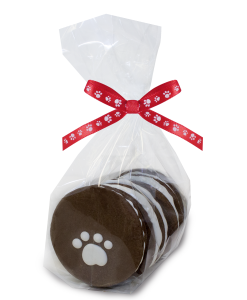 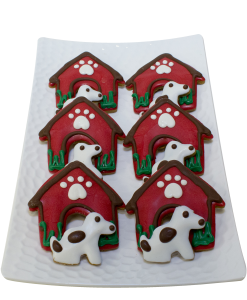 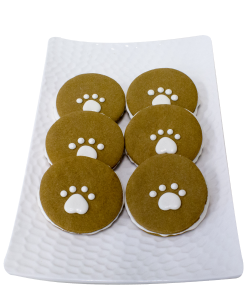 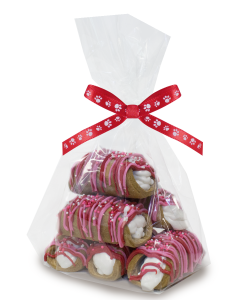 The ideal treat for the even smaller dog in your family! 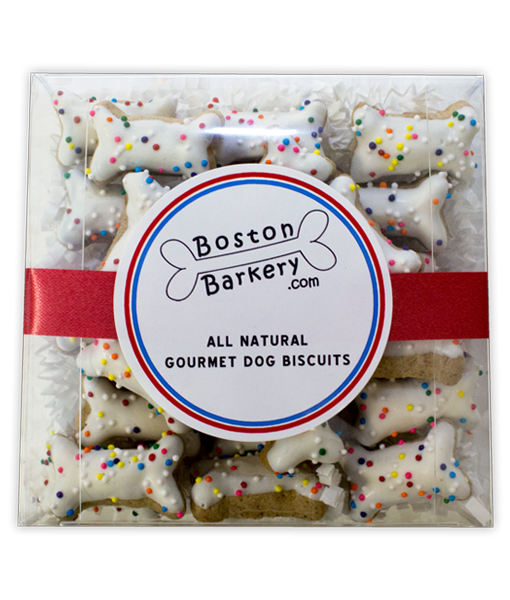 Whole wheat flour, oatmeal, wheat bran, chicken fat (preserved with mixed tocopherols, a natural source of vitamin E), peanut butter, molasses, maltodextrin, eggs, apples, carrots, caramel color, garlic, salt, natural peanut flavor, yogurt, and sprinkles.